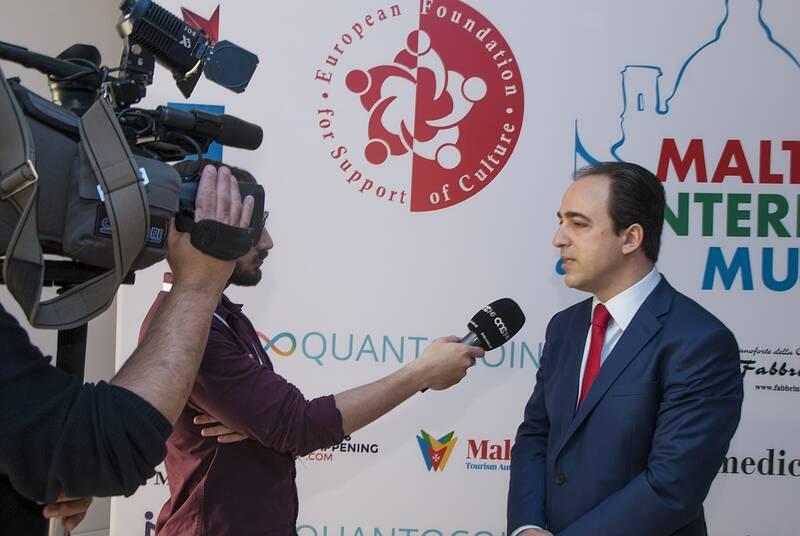 On Sunday 15th April 2018 the European Foundation for Support of Culture launched and presented to the Press the 6th edition of the Malta International Music Festival at the Pavilion Suite of the Westin Hotel in Dragonara. 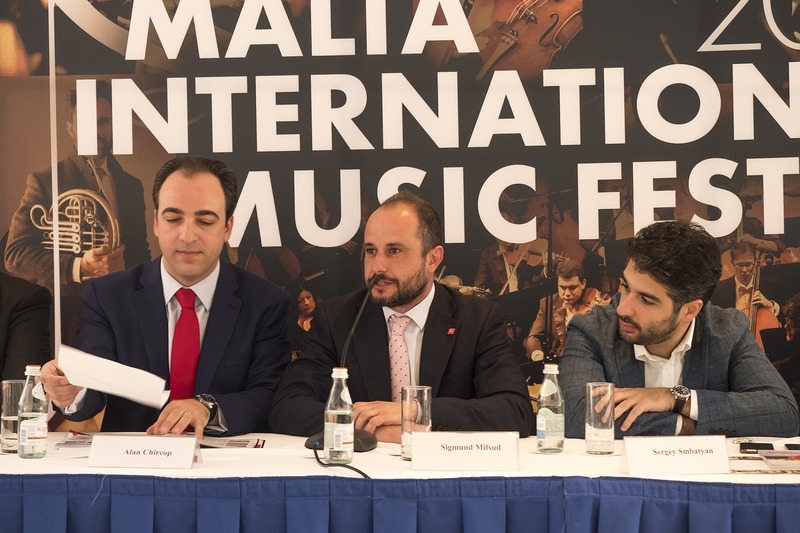 Alan Chircop, artistic director of the Foundation, noted that this Festival had over the years grown into the biggest and most prestigious music festival to be presented in Malta. With Valletta being the Capital of Culture for the current year it had acquired an even greater significance. 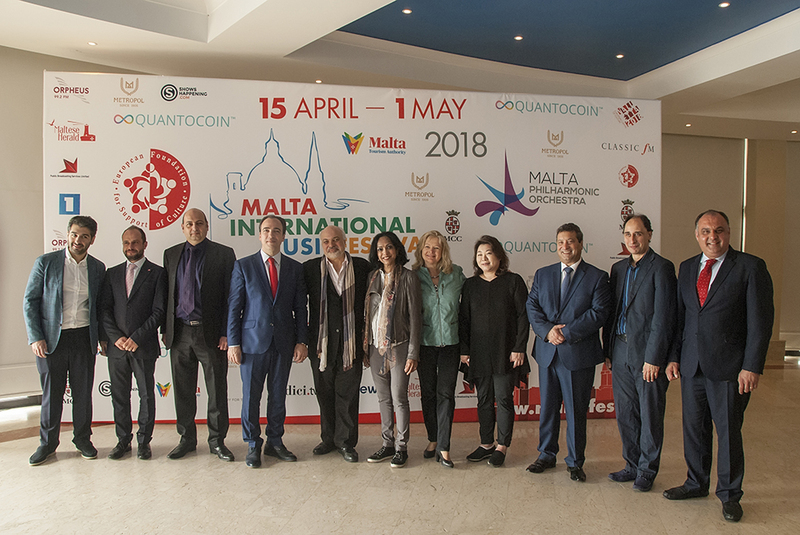 He thanked the Malta Philharmonic Orchestra, the Malta Tourism Authority and the Management of the Malta Conference Centre who were the partners of the Festival and the Valletta 2018 Foundation for having endorsed the Festival which had been integrated within the calendar of events for the Year. This year the Festival had a resident orchestra and a resident conductor – the Armenian State Symphony Orchestra and its conductor Sergey Smbatyan. 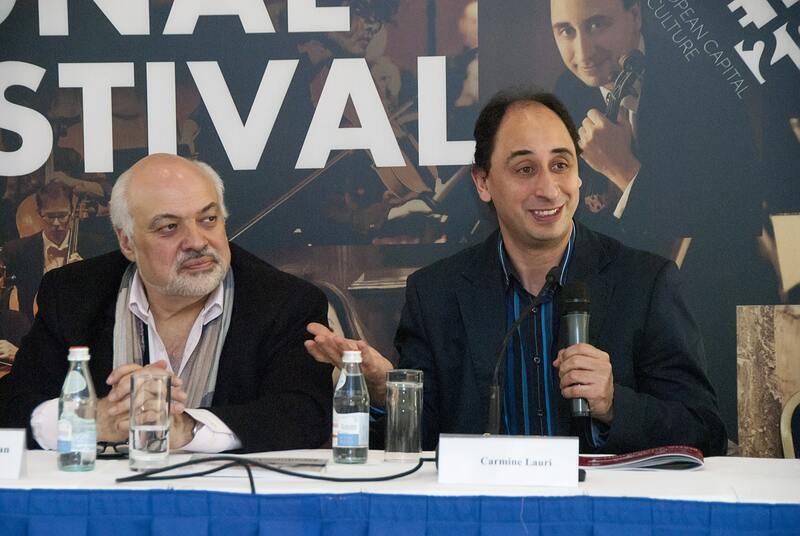 Falling within the remit of the Festival is also the Malta International Piano Competition for the year 2018 with the final three stages being held over the next two weeks. The finalists are the winners of eleven Internation Piano Competitiosn organised by the Foundation in eleven different citiies around the world last year. With a prize fund of €200,000 – and a first prize of €100,000 – this competition is possibly the major piano competition in the world. For the purpose of the Competition 7 grand pianos and 14 upright pianos had been rented and brought over specially from Italy in partnership of Fabbrini company. Another feature of the present Festival is the inclusion in various programmes of works by Maltese composers – Joseph Vella, Karl Fiorini and Alexei Shor, as well as the participation of the Malta Philharmonic Orchestra and soloists from the Orchestra, flautist Rebecca Hall, harpsit Britt Arend, horn player Etienne Cutajar, and honorary leader of the Malta Philharmonic Orchestra violinist Carmine Lauri. Also falling within this period and linked to the Festival are cultural events linked with the celebration of Armenian days. The conference was also addressed by the Chairmen of the Malta Philharmonic Orchestra (MPO ) SigmundMifsud, the Malta Tourism Authority (MTA) Executive Dr.Gavin Gulia and the Mediterranean Conference Centre (MCC) Chief Executive Officer Piiere Fenech respectively, all of whom expressed their pleasure at being associated with this prestigious events. The Festival features daily concerts between the 15th April and the 1st May with a line-up of legendary performers who include pianist Grigory Sokolov, violinists Maxim Vengerov and Salvatore Accardo and others. But besides these the performers are all world-class personalities in their respective categories. Special concerts include a concert celebrating the 115th anniversary of the composer Aram Khachaturian on the 18th April, a joint concert by the Malta Philharmonic Orchestra and the Armenia State Symphony Orchestra that will premier Alexey Shor’s work “Images from the Great Siege” on the 22nd April and a commemorative concert of Sergey Rachmaninov with the participation of pianist Nikolai Lugansky, recipient of the Sergei Rachmaninov International Award for 2016. 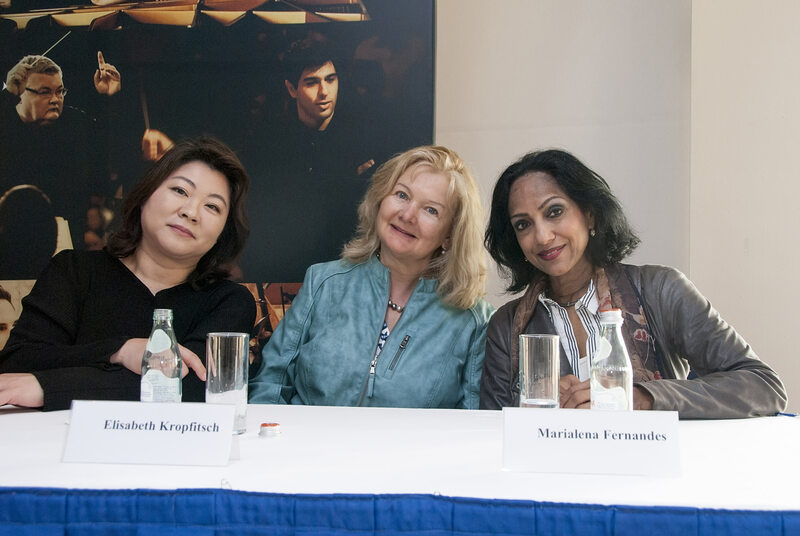 The members of the Cosmopolitan Trio from Vienna, all of whom come from different cultural backgrounds, said that they felt proud to be opening the Festival that evening and particularly honoured to be performing the works of two Maltese composers, Vella and Shor. They are based for several years together in Austria, a country with a colourful music tradition that has always brought people together. They felt that music was an important form of communication.. Besides since all three were professors of music at Universities they listened to what their pupils had to say and translated their ideas into their performance. Speaking in the name of the soloists from the Malta Philharmonic Orchestra flautist Rebecca Hall said that the Orchestra had over the years gone from strength to strength and had within it several talented performers who could stand up as soloists in their own right. Carmine Lauri said that he had been contributing on performing the Tchaikovsky Violin Concerto but had been informed two weeks before the opening of the Festival that this was being performed by the great Maxim Vengerov and therefore he had to make another choice. 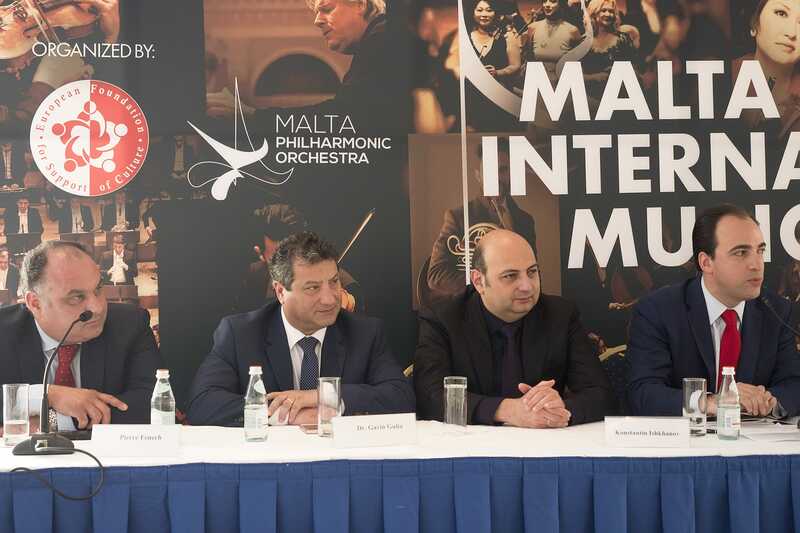 Sigmund Mifsud, Chairman of the Malta Philharmonic Orchestra, said that he considered the Orchestra’s participation as part of his vision for the Orchestra to get an international dimension, which was very important for any musician or musical ensemble. When asked which programme he considered most challenging and most exciting conductor Smbatyan said that both classical and modern music required great commitment. The fact that this Festival was not taking place in a big city gave it a special energy. Asked whether he had experience of the pressure involved in conducting a different programme every day for 15 consecutive days conductor tonge-in-cheek Smbatyan said that he would have the experience by the 2nd May. To conclude Alan Chircop thanked Konstantin Ishkhanov, president of the European Foundation for Support of Culture for all his great ideas. With over 50 projects for the current year the festival was only one of the initiatives taken by the Foundation of which he is the Chairman. Mr Chircop also thanked all the team at the Foundation for their work and their dedication and the members of the media for having attended the conference.